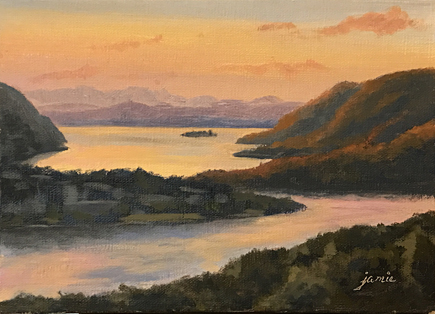 I did a few color studies for a large painting, and this one came out so beautifully that I decided to finish it off and offer it for sale. 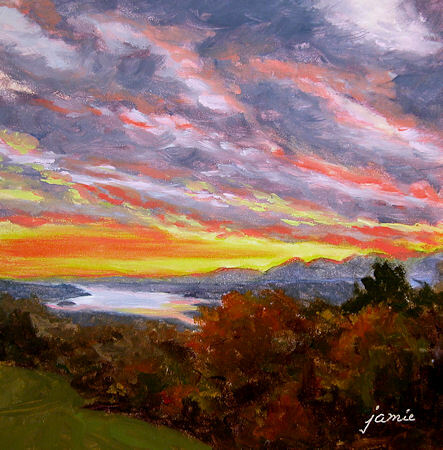 The colors are so much more subtle and beautiful in real life. 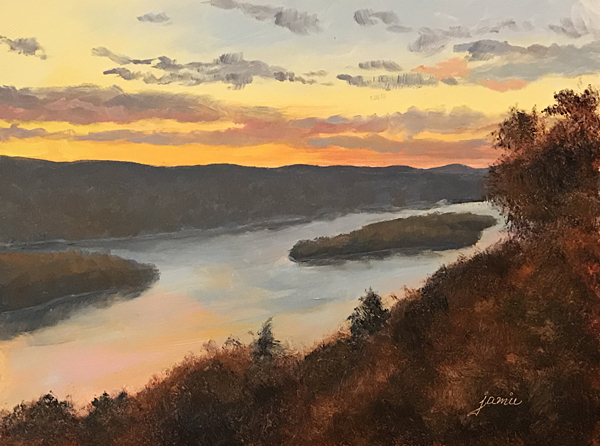 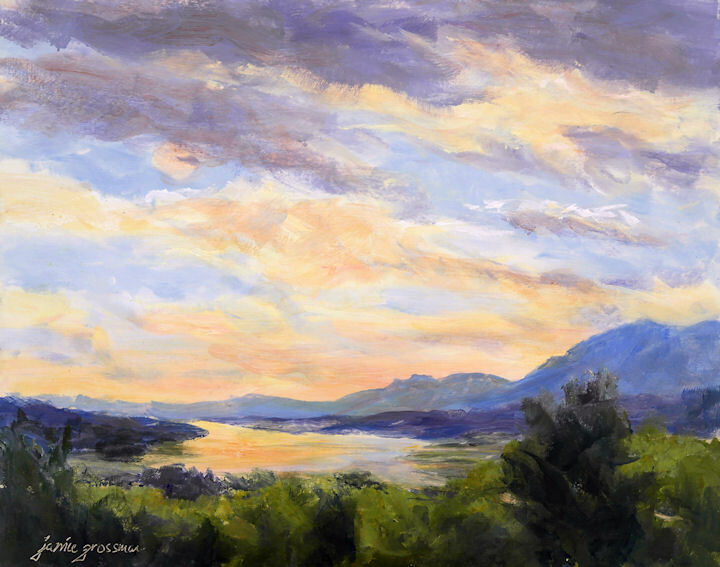 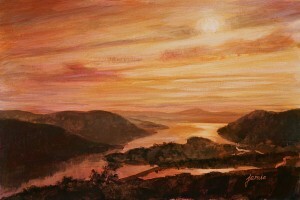 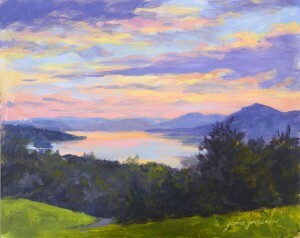 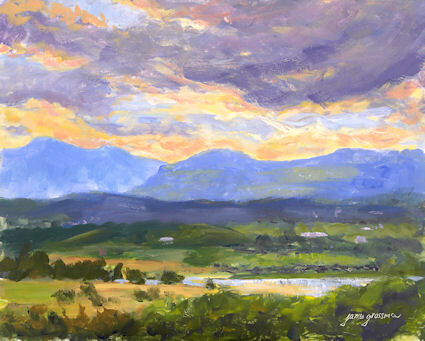 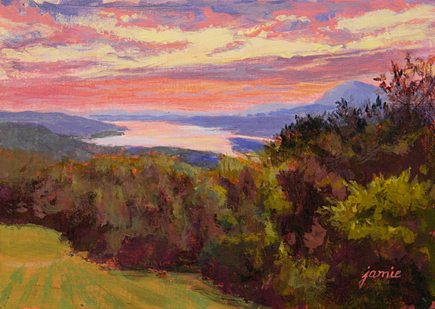 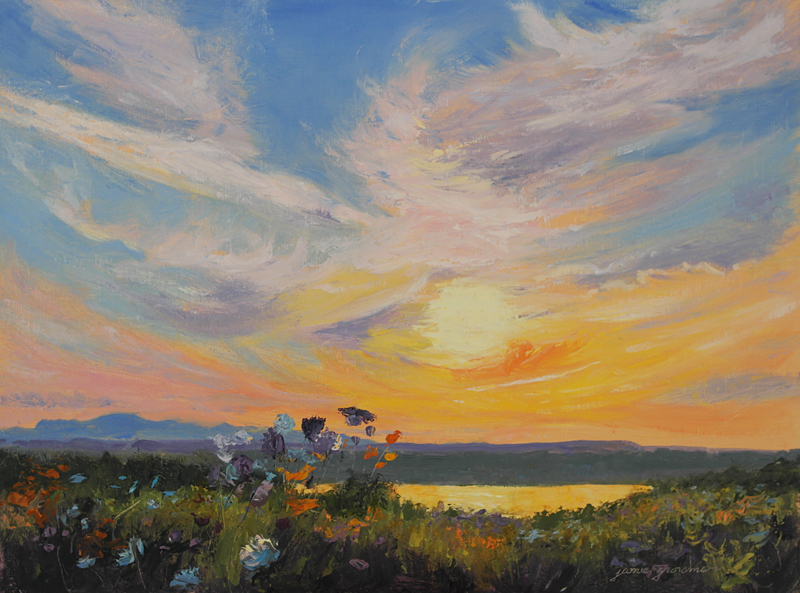 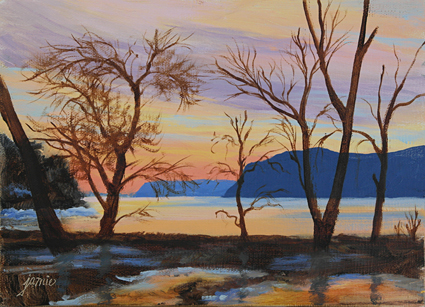 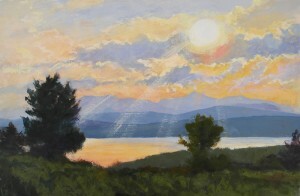 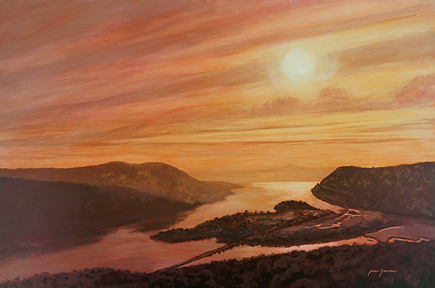 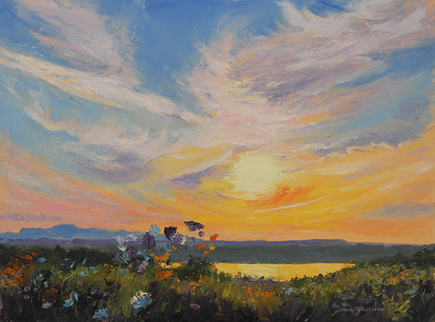 I love this scene overlooking the Hudson River and Iona Island from Bear Mountain, and have painted it in many seasons and different mediums, at different times of day. 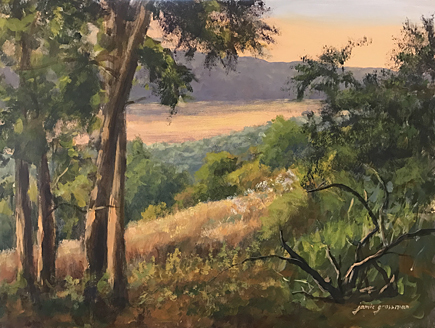 I’ve painted it on location and in the studio. I just can’t seem to get enough of it! 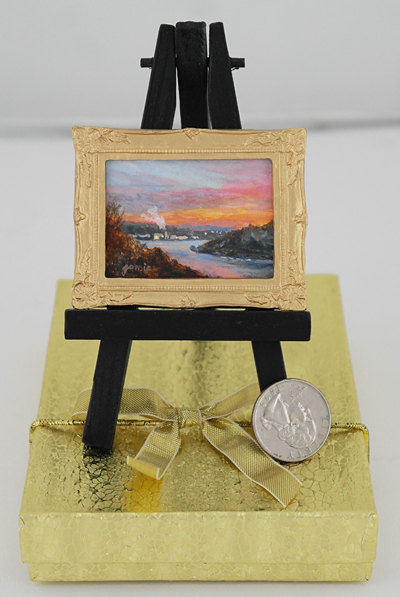 I’ve been doing commissions like crazy through this holiday season, but I finally had time to do a few of my “Jamie’s Jewels” miniatures — something I’ve not done for a really long time! 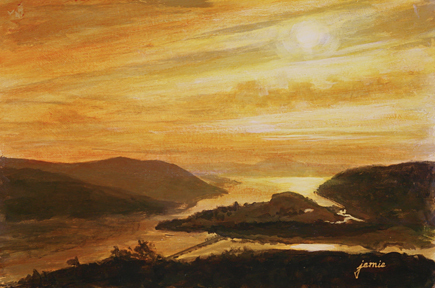 I thought it would be fun to embark on a mini Hudson River School Sunset series. 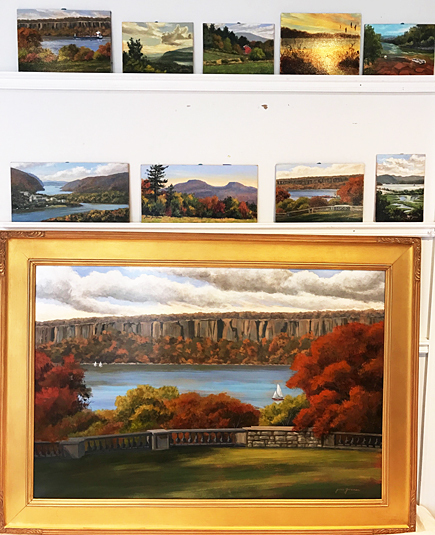 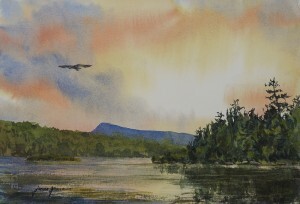 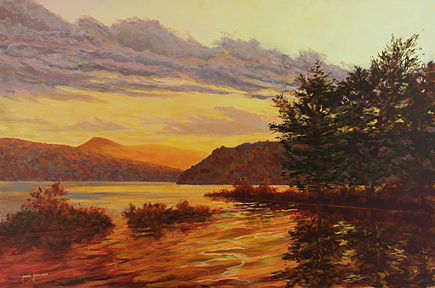 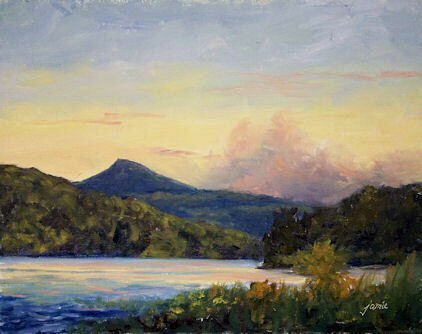 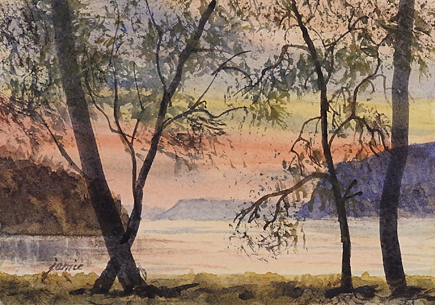 They will feature locations where the Hudson River School artists painted. 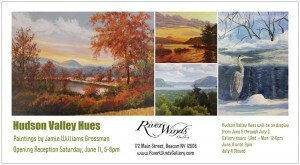 Some of these sites are along the Hudson River School Art Trail. Others are sites where Cole, Church, Durand and others did paint, but due to difficult access or some other reason, they are not on the Art Trail registry. 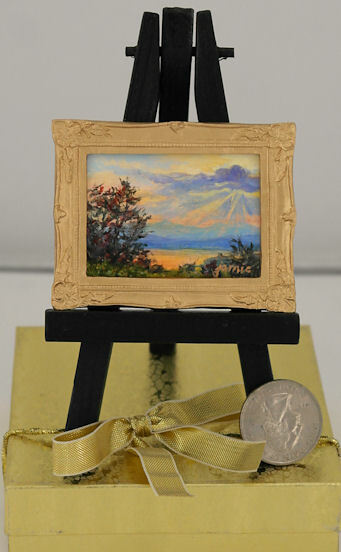 These miniatures make fabulous gift items. 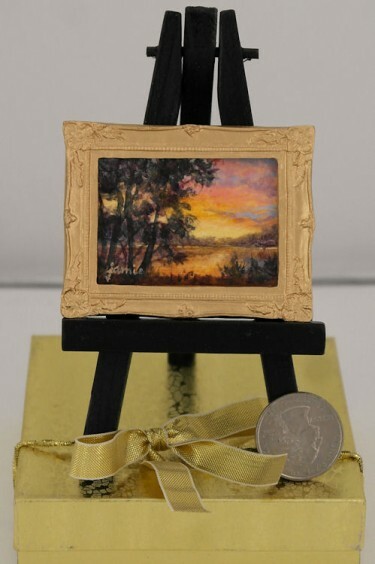 They will arrive in gold gift boxes, already framed in these ornate gold miniature frames. 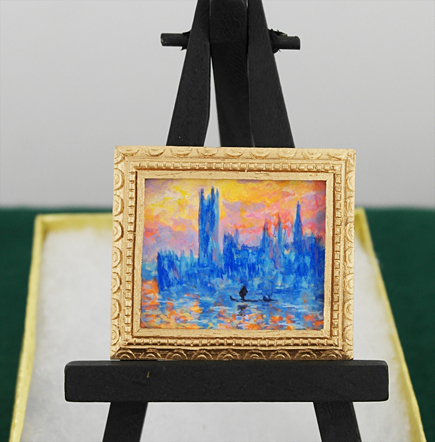 The miniature black easels are also included, so you can set them right out in a favorite spot. 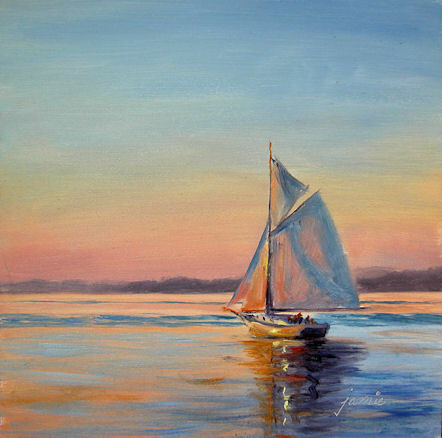 Everybody has a place for a little jewel, or a collection of them! 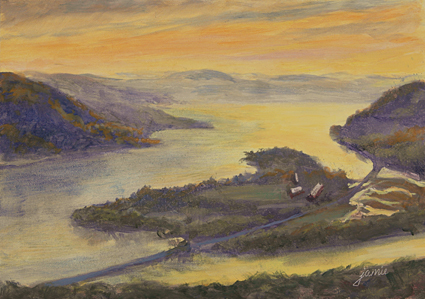 This is a spot that was one of Hudson River School artist Thomas Cole’s favorite places to paint. 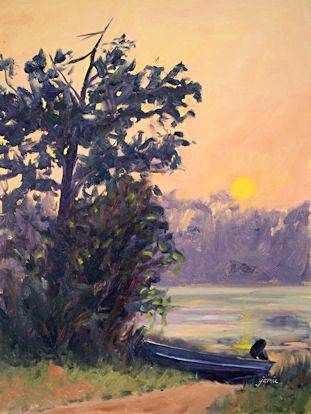 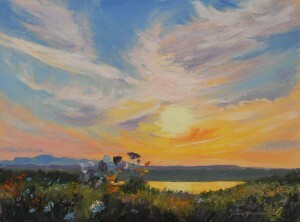 I visit here frequently at sunset with a small pochade box to paint studies and take photos. 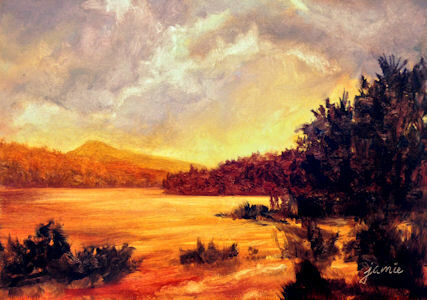 Last year, I experimented with some color palette ideas in watercolor and acrylic from many of the photos I took here. This morning I pulled out all those color studies and some of the photographs, and explored those ideas in oils. I think I feel a series coming on!